We've come across a rash of pixel shooters in artillery on the server. This is a circumstance where a player uses a glitch in the game. He games the system to rack up a phenomenal score. Usually along the lines of 65-2 or 45-3. You'll know it when you see it on the scoreboard. This happens on maps where there is artillery .. not ships. It generally .. GENERALLY .. cannot be done with ships. Why? Because the inertia of the firing moves the ship off of the spot because it is floating. If you are on the end of receiving artillery and notice that is in the *EXACT* same spot every time, that is somebody pixel shooting. Firing artillery with a spotter also moves the equipment from inertia and is inaccurate. When they are cloud spotting, it's the same place every shot. Because it's a glitch. A player sits in an exact position and fires the artillery at a certain exact spot at a cloud in the sky. It lands in a galaxy far, far away and kills people without exerting any form of skill or gamesmanship. Battle of the Bulge and Caen are two maps where this is very prevalent. If you see it happen on other maps, add them to this thread. Attach a name to it so we'll know to watch for it. Now, Poor_Coward just came off of a month ban for such antics and went RIGHT BACK to doing it again. ORANGE JUICE is so good at it that he doesn't need artillery. He also knows where to aim at in the clouds with a Sherman tank. And he just sits on a pad for 45 minutes firing .. over and over and over again. It must be an exciting game experience for him. We had a guy on the server a couple months ago that was plainly hacking. Because aX is currently "admin challenged", as in, there are just not very many of them and no way to add new ones .. the community took it upon themselves to kill this hacker when he showed up on the server. He became frustrated and went away. Now, that involved teamkilling. A very dicey area that can get you banned right quick. However, we did run off this hacker. It was a community policing and it was done very well. I might suggest community policing take place again with these, or similar, individuals. But don't teamkill. These guys are not "hacking". They are using a glitch in the game system to stroke their own egos at your expense. So, if you see the other team raising quite a fit about some guy "cloud spotting" or "pixel shooting" .. and you are on that player's side .. you might want to peek at his score. Once he gets up above 50 kills against 1 or 2 deaths .. I might suggest taking a moment to help the community here at aX. Look him up on the map by "adding friend" on the scoreboard section. He'll show up green. Find out where he is. And go to that spot. And artillery is a two man piece of equipment. Just jump in his vehicle as the driver .. and drive him off of the spot he can glitch from. Preferably drive him to Battlefield Jail .. but we don't have that mod yet. It's entirely up to you and this is most definitely NOT endorsed by the admins or the aX server. 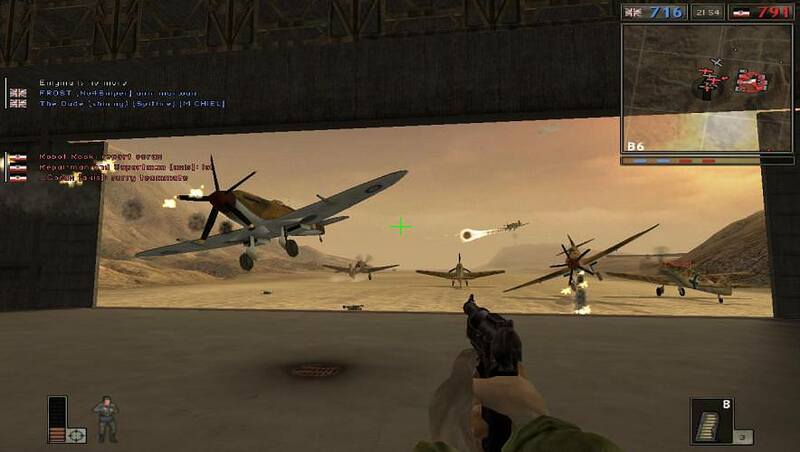 But, we've gotten to the point in this game's life cycle that .. we kind of have to take on this responsibility now if we are to preserve any form of good gaming in Battlefield 1942. We did it before with a blatant hacker that was ruining games by getting TRIPLE the score of anybody else on the server. If this wave of "pixel shooting" keeps up ... the community may need to act against the people who glitch and game the system. The concept is to frustrate them to the point they realize they can no longer do this on this server. Either they'll go away or reform their ways. Dear Vicar .. friendly Vicar ..
Let us open our books to Genesis .. chapter 19 ..
.. whereas the story is told of Sodom and Gomorrah. Looking at that picture above .. So let it be written .. So let it be done ..
We'll call that move "Gomarrah Less"
Thursday night at The Bulge we had "Director Comey" up above 50 kills with the artillery. I'm pretty sure he was cloud spotting but .. I couldn't prove it. I confronted him directly but he claimed he had a spotter. Some player named "hero" went 46-5 in a Tiger with me, Romans and D-Day shooting him. We couldn't kill the guy. No way. I thought this is fair and what an arty is tasked to do? Kill him!!! JawBreaker wrote: Thursday night at The Bulge we had "Director Comey" up above 50 kills with the artillery. I'm pretty sure he was cloud spotting but .. I couldn't prove it. I confronted him directly but he claimed he had a spotter. I killed him......twice. He was sitting in a tiger outside St Vith shelling the Allied main, not engagng anyone. Tank arty at it's finest. I know most of the pixel shots so when I encounter someone using them I'll give a warning and if needed a kick or ban. Will keep an eye on the players U mentioned JB. Last edited by Shadowdogkgb on Mon Apr 01, 2019 11:49 pm, edited 1 time in total.